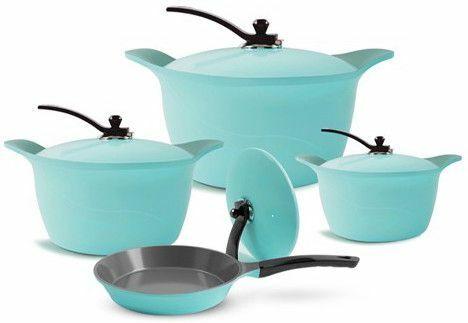 Ceramic cookware is possibly the most versatile type of cookware. It can be used on all stoves, gas burners, electric coils, and ovens. Due to their beauty and ability to retain heat, they are also used effectively as serving dishes. They are very easy to maintain with a naturally nonstick surface and are the least reactive cookware making it safest type to use. If you want to add a touch of beauty in your kitchen, you’ve found these Ceramic sets to choose from.